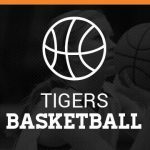 8th Grade Girls Basketball 2018 Here is some key information for 8th grade girls interested in trying out for the AGS basketball team: You must have a current (after April 15, 2018) physical on file with the middle school office to try out that is signed by a doctor and parents on all the lines. Girls basketball meeting for all levels will be after school at 2:45 pm on Thursday October 19th in health room 8-117 with Coach Becky Moore. Wednesday, October 11, 2017 5:30 PM Grand Blanc East Middle School AWAY 56 Fenton High School HOME 28 Game Recap . Monday, October 9, 2017 4:15 PM Fenton High School AWAY 44 George R. Carter Middle School HOME 36 Game Recap Fenton 44 Clio 36 The 7th grade girls basketball team beat Clio last night, 44-36. Leading the Tigers in scoring was Adrie Staib, with 11 points. Sophia Hense scored 8 points. Abby Logan scored 7. Monday, October 9, 2017 5:30 PM Fenton High School AWAY 43 George R. Carter Middle School HOME 35 Game Recap .